Hollywood seems to be a trendsetter in novel movie ideas, while Bollywood is a trendsetter to copy the idea and make an english film with hindi stars. I refer to the box office hit The Others (2001) starring Nicole Kidman. 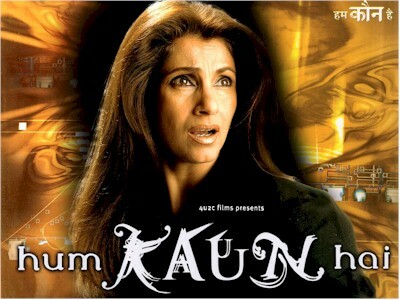 Hum Kaun Hai? follow the same story, but with hindi twists and turns. The story begins with a mother named Sandra (Dimple Kapadia), who lives in a spooky mansion in the midst of fog and forest, with her 2 children: Sarah (Hansika) and David (Aman). Sandra also has 3 servants: a nanny for her kids, Mrs. Pinto (a very sinister Moushumi Chatarjee), a cook named Maria (Seema Rahmani), and a gardener (Abhijeet Lahiri). Sandra’s husband Major Frank Williams (Amitabh Bachchan) is at war and nobody has heard from him for a long while. Sandra and her children miss his presence. This is when some strange and eerie things begin to occur in the house. Sandra wants answers and decides to consult Father D’Souza. On her way, she finds a confused Frank wandering around. Frank returns to the mansion, only to discover some hidden truths and wants to get to the bottom of all paranoia and mystery in their family and home. He enlists the help of his friend Virendra (Dharmendra) to get to the bottom of things. What’s the mystery? You’ll obviously have to wait til the end to see. There is nothing novel about the film, but the performances from Dimple Kapadia and Moushumi Chatarjee stand out. Amitabh Bachchan is one busy actor this year, but one wonders why he agreed to play this role. Anyone could’ve played the role of Frank, even Rishi Kapoor. He really must choose his roles wisely, rather than a publicity factor for films. Furthermore, his reunion with Dharmendra leaves much to be desired. As for the story, if you’ve seen the original, you’ve seen the hindi version, but the film is freaky and sets the mood right from the start. Is the end like the original? Well, I’d rather not say, because you should check it out once just to see Dimple’s role. As for the supporting players, Hansika has a meatier role than Baby Aman. Prem Chopra and Vikram Gokhale have no role. When I applied to write this review, I had no clue it even released. The first promos came out in the summer, and then zilch, no promos, no hype! I guess I know why! The film had the potential to be a supernatural hit, but the story lacks the depth of the original. 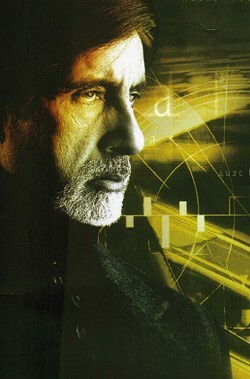 Overall, check it out once, just to say you watched another Amitabh release.